CLEARER, LOUDER, HARDER, BETTER! 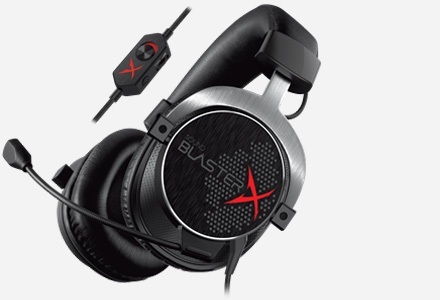 Built with the powerful and versatile BlasterX Acoustic Engine Pro, the Sound BlasterX H7 combines large, responsive 50mm FullSpectrum audio drivers to offer customizable, best-in-class surround sound audio for absolute gaming immersion. The Sound BlasterX H7 is engineered with two custom audio settings that give you control of the realism of your entertainment. 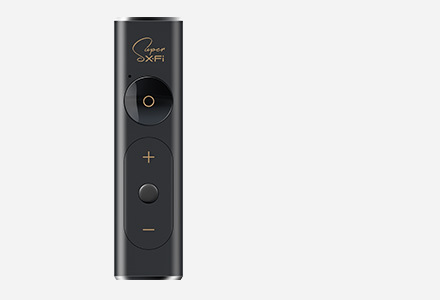 Whichever and whatever your entertainment is, you can choose between the Analog mode and digital USB mode for a tailored and immersive experience. When connected via USB mode, you will have the choice of selecting BlasterX Acoustic Engine profiles to improve the overall immersion, as well as X-Plus Mode 1 designed with specially-tuned audio profiles for popular competitive games. H7 is tournament-ready, you can save your X-Plus sound preferences right into the headset, so it will reproduce your sound configuration without any need to install software when you're connected to different gaming setups. Large, responsive 50mm FullSpectrum drivers deliver powerful bass and astounding clarity. Rated at 118dB/mW, the H7 is among the loudest gaming headsets of its class. Feel every bone-shattering explosion and the rattle of gunfire as you immerse yourself in games like never before with the H7. Tapping into our rich history of creating bleeding-edge audio algorithms, our engineers have crafted an audio engine optimized for gaming. The Sound BlasterX Acoustic Engine Pro is a suite of fully customizable audio processing technologies developed and tuned specially for the Sound BlasterX H7 to deliver new levels of audio immersion and precision for the ultimate competitive advantage. Sound BlasterX Acoustic Engine Pro includes Scout Mode, designed to help you hear beyond what you see. Gain a distinct tactical advantage in combat! You can remove the microphone from the headset when you do not require them, allowing your headset to be even more compact, or use them as a pair of headphones. The H7 is fairly inexpensive for the features it offers and its solid build quality. The 7.1 audio offers precise directional sound in 3D games, and the fact that it can hook up directly to the PS4 without turning your desktop into a mess of wires offers it a major advantage over other products in the same price range. 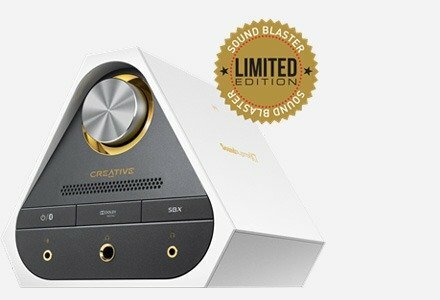 Overall, Creative did an excellent job with the Sound BlasterX H7. Sound quality was exceptionally good. Overall I was impressed with the level of clarity and definition the H7 brought to my games. I was a little disappointed that the X-Plus software only came with six audio profiles. They do cover the major game genres allowing you a few options to try out. The Sound BlasterX H7 headset is a must-buy at the current price point. While the dongle might prove annoying at first, and despite the lack of a retractable microphone, there are not many things to gripe about when using this headset. 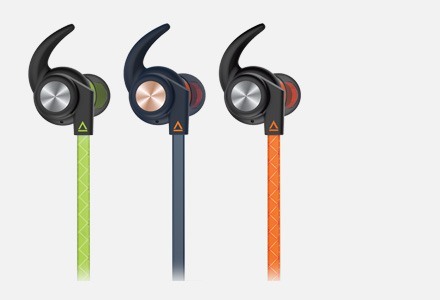 Audio quality is great, microphone quality is superb, the the comfort is out of this world. If you are looking for a sub $150 headset, I highly recommend the Sound BlasterX H7. Creative’s Sound BlasterX H7 gaming headset offers top-notch quality for an awesome price. It’s definitely a headset to consider if you’re in the market for a high quality audio experience and tons of comfort, regardless if you’re a PC or console gamer. While it's strictly stereo on the PS4, using the H7 on the PC opens a nice world of audio software options, including the BlasterX Acoustic Engine Pro. 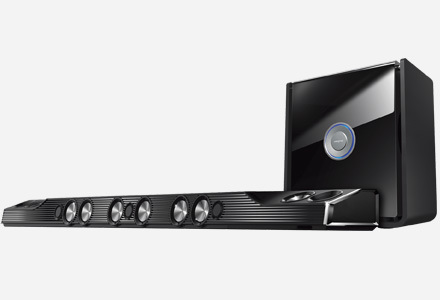 This is a great way to get some impressive virtual surround going. 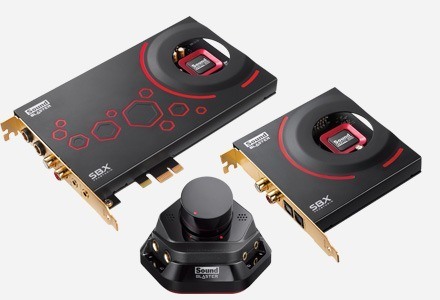 With the Sound BlasterX H7, users can expect to have both a nice analog stereo headset and a good onboard USB option for both the PC and PS4. That USB option is good for when a pricey DAC doesn't make sense or isn't available.The H7 then is a very good headset that does several things well, including gaming, and is worth being on a shortlist of headsets to consider picking up in 2016. Most comfortable headset I own. [The] sound is incredible. Stylish and immersive experiences. The sound is amazing, both for watching movies and for listening to music. I play Tom Clancy: Siege and due to a number of other sounds, the "scout" mode enhances other noises you might not want to hear. 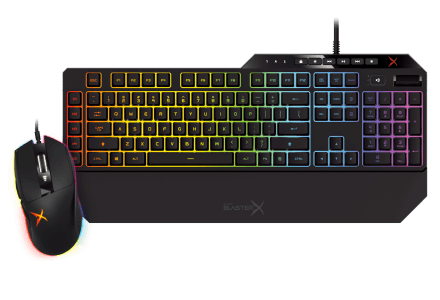 They do, however, support other games such as Call of Duty and Counter Strike Global Offensive, and those work brilliantly. The detachable microphone is brilliant, and if you do not think it is up to par you can easily get another one. However, I have no problems with the current one at all, you can even make yourself sound like an ORC within the driver settings, just because. Overall, the microphone and overall sound quality is really high. The driver doesn't have that much to offer but if you want to tweak stuff yourself you can, if you know what you're doing. The price is about right for this quality headset. Beats any other headset I have owned.